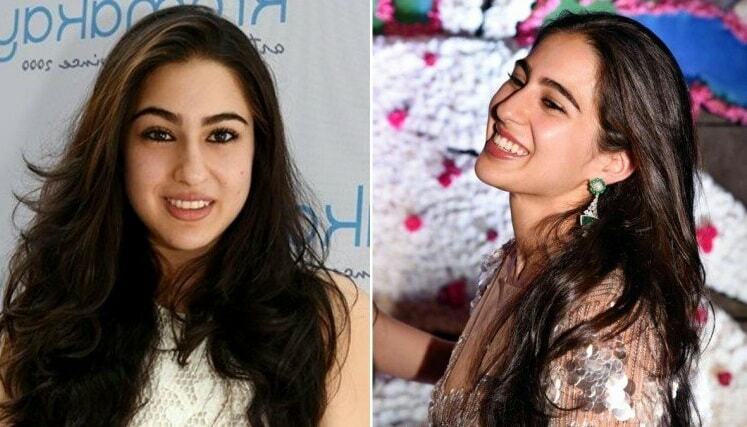 Sara Ali Khan – a renowned bollywood actress and daughter of Saif Ali Khan and Amrita Singh; revealed about her PCOD issue at a chat show – Koffee with Karan and how she fought with the weight which she gained during PCOD. During the college days, her weight was 96kg due to the hormonal disorder associated with PCOD. She said in the conversation with Karan Johar, “I had PCOD. I still do. Because of that, I think I put on the amount of weight that I did, just because of it I was suffering from hormonal issue. PCOD made it very hard for me to lose weight”. She added that doing work-out, stressing less and healthy routine matters a lot during PCOD duration. The way she revealed about her PCOS syndrome, women, who are in the clutch of PCOD seems to be very impressed. She gave confidence to every PCOD women to fight against this issue and suggested to follow a healthy diet and proper routine. Popular Celebrities like Sonam Kapoor had also been a victim of PCOD, balancing all the things simultaneously she overcame from PCOS issue. So, if you are experiencing with hair loss, gaining over weight and have irregular periods then you must have to be careful, as these signs could be of PCOD syndrome. Women with PCOD issue, have more than normal amount of male hormones- Androgen. This is all the reason why women suffers from irregular periods or skip menstruation cycle. PCOD may lead to a serious cause (such as cancer) at the end if it is not early treated. If you are infertile due to the issue of PCOD, then by taking oral contraceptive pills you can do your menstrual cycle regular in addition with, if menstruation cycle becomes regular then the chances of cancer also becomes less. By taking, Aldactone PCOD can be overcome. Aldactone is a water pill, which can reverse the symptoms of excess androgen level and reduce – extra and unwanted growth of hair and acne. Clomid or Clomiphene is that medication which exerts influence on ovulation (egg production). This medication is generally taken by those women who due to PCOD, unable to conceive and if in case, by Clomid the matter is not solved then through the method of ART special techniques, women conceive. Glucophage is another medicine, which is prescribed by the doctor when the female has diabetic issue. Last and most important point, which every PCOD women have to keep in mind, is to do proper physical work-out, stretch your body, do at least 30 min exercise once in a day, have balanced diet, say yes to healthy fats and avoid bad fats like pasta, white bread, etc. Eat tomatoes, have Salads. Try to eat less at the time of dinner. Complete remove- White Rice, potatoes and white bread from your diet chart. See, PCOD can be easily treated and figure out if the woman notices the symptoms early (like gaining the weight, acne and hair loss starts entering in your life etc) you should rush to the clinic to diagnose the issue and if PCOD disorder came out from the result then No worries! Because this is the world and there is nothing impossible if you have strong will power to resolve the issue. Weight is the first factor that comes in one of the most common symptom of PCOD, if the woman with PCOD syndrome loses her 10-20% of body fat; doing this she is reducing her PCOD symptoms by 60-70%. So again, would like to say that be in healthy diet, live fit, do regularly exercise, avoid outside foods, eat fresh fruits in order to make yourself away from not just PCOD disorder but from any other issue too.